A woman photographs art created by local students at the 2014 YEA! Day festival. Although board members of Young Evanston Artists voted last week to dissolve the organization, they said they would like to see the festival continued. Young Evanston Artists board members voted Nov. 27 to dissolve the organization following founder Harvey Pranian’s decision to take a step back from his role as project director. At a Friday event hosted at the Unitarian Church of Evanston, YEA! — which provides a forum for the exhibition and performance of art from Evanston students –– distributed approximately $50,000 to the Evanston Community Foundation to establish a new fund called the YEA!/Harvey Pranian Legacy Fund for the Arts. About 40 parents, teachers and volunteers gathered to celebrate 30 years of YEA! Some YEA! board members and volunteers said they are uncertain what ECF will do with the funds. A joint YEA! and ECF Nov. 9 news release said grants will be used to support projects and other opportunities to advance the development of Evanston children and youth through the arts. Despite the organization’s dissolution, Pranian said Evanston schools might continue to participate in an annual outdoor arts festival YEA! began to showcase student artwork. Both he and board members said they would like to see that tradition preserved. Pranian opened an Art and Antiques store in Evanston before founding YEA! in 1987. 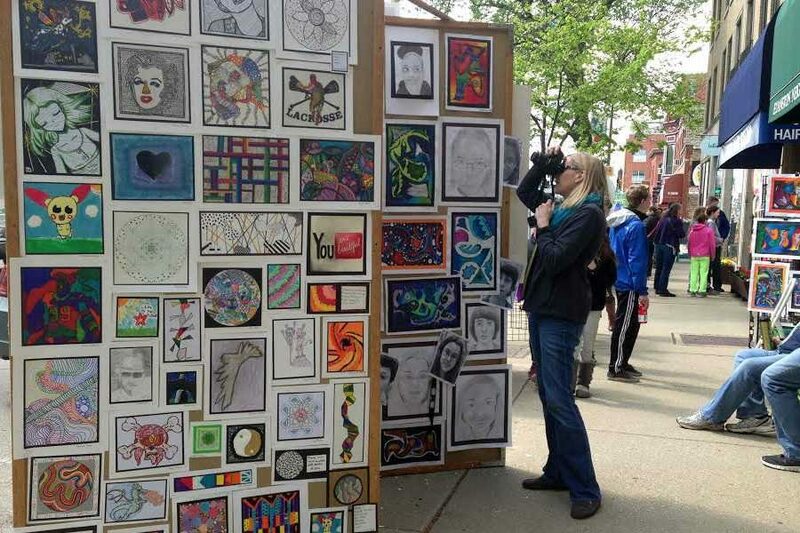 He said he wanted to give back to the community that was providing for his living, so he met with Evanston/Skokie School District 65 teachers to discuss his idea of exhibiting children’s artwork. From those meetings, he said, YEA! Day was created. The annual event was typically hosted on the third Saturday of May at Raymond Park. Public and private schools from preschool to high school are invited to the festival, where some students display paintings and drawings while others perform in choirs and plays. Pranian said children who participate in the arts for at least three hours a week for a full year are four times more likely to be recognized for academic achievement and four times more likely to participate in a math or science fair. More than 30,000 students have participated in YEA! Day, Pranian said. In recent years, he added, some adults who participated in YEA! Day in their youth have returned to watch their own children engage in the event. Evanston Township High School choir director Mary Theresa Reed, who coordinates the student performances on stage for YEA! Day, said it is important for schools to support art programs. She added that it has been a “joy and a privilege” to participate in the annual event. This story was updated to clarify where grants from the YEA!/Harvey Pranian Legacy Fund for the Arts will generally be directed.